Marijuana is one of the most widely used illicit drugs across the world. People who take this drug experience high levels of blood pressure and increase in heart rate. Some people can get red eyes and feel very sleepy or hungry or both. 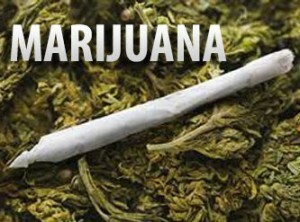 In some cases, marijuana can cause hallucinations or make people paranoid. WHAT IS MARIJUANA AND HOW IS IT TAKEN? Marijuana is made from the dried leaves, seeds, flowers and stems of the plant called hemp or Cannabis sativa. It is a mind-altering drug and can act as a hallucinogen if consumed in large amounts. It is most commonly smoked in the form of hand rolled cigarettes. These cigarettes are known as joints or nails. It is also smoked in a pipe or water pipe known as bong. Some people take marijuana by placing it inside of empty cigars known as blunts. It is also mixed with foods or brewed as tea. HOW LONG DOES MARIJUANA REMAIN IN THE BODY? When marijuana is taken, the active ingredient in the drug known as Tetrahydrocannabinol or delta-9-THC or THC, rapidly enters the bloodstream of the body. THC can be detected only within short time, usually few hours, after the use of marijuana as it is swiftly metabolized into molecules. THC thus metabolized into metabolites is accumulated in the body fat and are later eliminated from the system through urine and feces. It remains in the urine for 2-5 days for infrequent users and 1-15 days for frequent users and 1-30 for chronic users. It can be detected in saliva within 72 hours, blood for 2-3 days and hair for approximately 90 days after use. However, several factors such as metabolism, age, health conditions etc. can alter these detection times in a person. There are four basic ways to detect the use of marijuana by a person. They are – urine test, saliva test, blood test and hair test. There are urine tests that give instant results or need laboratory analysis. For the both the kind of tests, a sample of urine is collected from the subject under strict conditions to make sure he/she does not alter the sample. Urine tests are usually easy to administer and are known to give accurate results. They are mostly used at workplaces and homes. Saliva test is one of the least intrusive methods of drug testing. This type of tests is increasingly becoming popular as it is highly difficult for the subject to adulterate the sample and thus one can expect the most accurate results. It is relatively inexpensive and is usually preferred by employers. Blood test is the most expensive method of testing marijuana use as it gives the most accurate results. It is very rarely used and is considered to be most intrusive method of drug testing. When the THC metabolites enter your blood, they pass through your blood vessels in the head and are accumulated in the hair. In many cases, they permanently remain in the hair. Nearly 50 strands of hair close to the scalp area are cut and sent for drug analysis.